Screw on type, Plastic base. 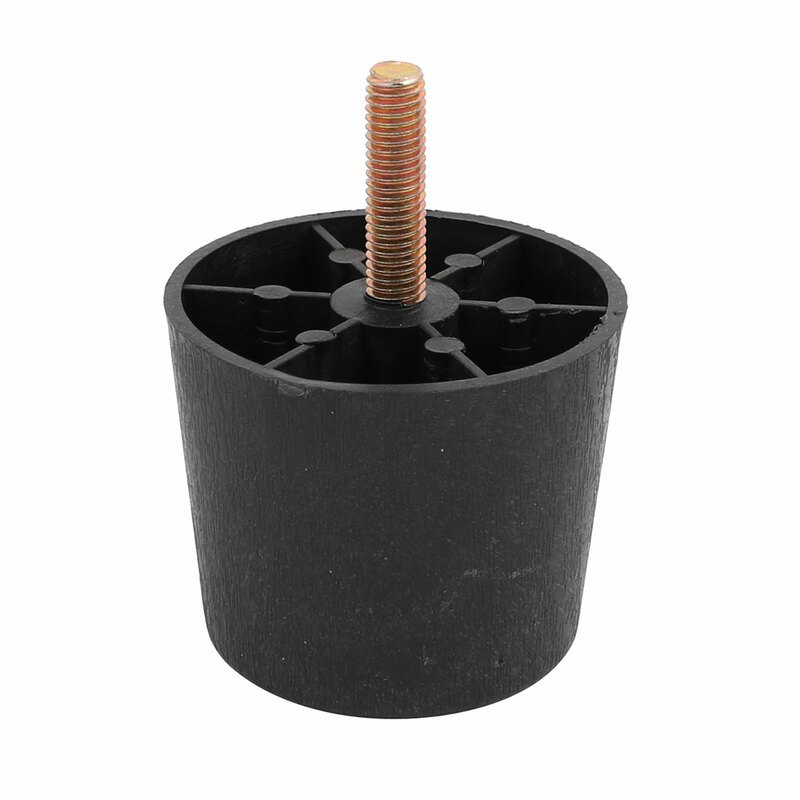 Plastic round base design will do no harm and scratches to your floors. Easy to install of it and adjustable height as your require.